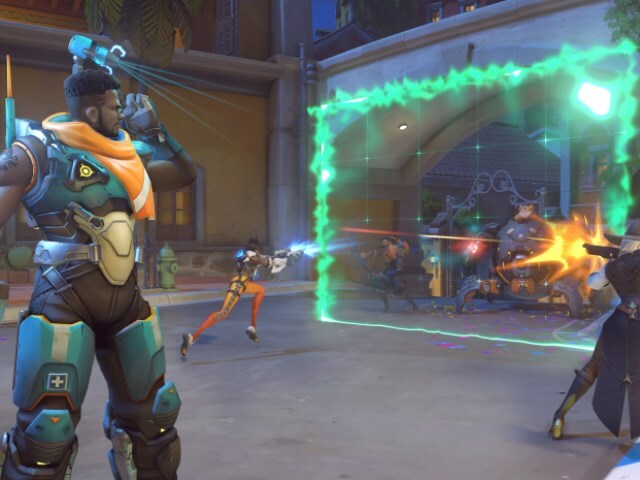 It’s Thursday March 21, 2019 and this is your weekly early morning Esports briefing. For additional longer-form esports news plus jobs, a team directory, glossary, calendar and data, check out our new esports hub updated daily: http://cynopsisesports.com. ESL, WESA and Occitanie Region unveiled their first major CS:GO event in France, with the Pro League Season Nine Finals now set to take place in Montpellier on June 21-23. 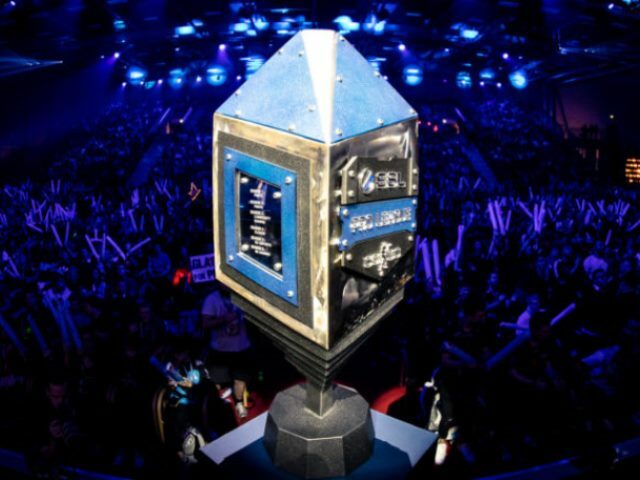 The world’s top 16 CS:GO teams from Europe, Americas and the Asia-Pacific region will battle it out for a total prize pool of US $750,000 at the Sud de France Arena. Wednesday saw Epic Games announce a new Fortnite: Battle Royale tournament running this weekend and offering a prize pool of $100,000, titled the Blackheart Cup. Players around the world will be able to qualify for the event through The Gauntlet Test Events, with eligible players seeking the highest number of points in their sessions on March 23, before the top 3,000 players participate in the grand final on March 24. The NBA 2K League served up its schedule for this season’s slate of regular-season matchups and tournaments for year two of the league, with play beginning April 2-6 with The Tipoff powered by AT&T. This year will see The Tipoff, The Turn, and The Ticket serve as the three tournaments that feature all 21 teams competing for banners that link together to form what is known as The Banner Chain powered by AT&T. 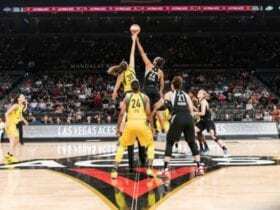 Teams will play a total of 16 regular-season games, with contests on Wednesdays, Thursdays and Fridays and all regular-season games taking place at the NBA 2K League Studio Powered by Intel in Long Island City, livestreamed on the league’s Twitch channel. In addition to being named presenting partner of The Banner Chain, AT&T will create branded content for select NBA 2K League Twitch streams and will also run the “AT&T Game Day Show,” which will air in connection with tournaments, the NBA 2K League Playoffs and the NBA 2K League Finals. Ubisoft announced that Rainbow Six Siege’s The Pilot Program, its first revenue-sharing initiative with esports organizations, is getting an expansion. 2019 will see an increase in the scope of the partnerships between Ubisoft and our partnered esports organizations with the second version of the program set to being in June and run until May 2020, encompassing Season XI and XII of the Pro League. The org is looking to expand to support more Pro League teams with up to 16 teams included in Phase 2 in addition to incentivizing performance from players and organizations. Electronic Arts opened the doors to its new competitive gaming studio, located at its HQ in Redwood Shores, CA and designed to serve as “a one-stop-shop to rapidly accelerate the company’s ability to host more competitive events and create content primed for a top-tier broadcast experience.” Between competitive tournaments, the new studio will act as a full content creation venue and will be home to new esports-related shows, serve as a space for player interviews, influencer capture-sessions, player-to-EA gameplay feedback panels and more. Specifications of the venue include two main studios, over 60 screens and monitors, 200 light fixtures, multiple spectator cams, and a 4-person caster desk with built-in monitors as well as a AR/VS seamless green screen, control room, linear and digital broadcast capabilities. Epic Esports Events will play host to the fifth and final Dota 2 Pro Circuit Major this season, titled the EPICENTER Major and running in Moscow from June 22-30, offering a $1 million prize pool. Earlier this month, the fourth Major of the season was awarded to Mars Media, which will host the event in partnership with Disneyland Paris. Blizzard is gearing up for the StarCraft II World Championship Series Winter Round of 8 with players in their region competing in a best-of-three round-robin style competition. The top six from each region will enter their region’s gauntlet playoff bracket, seeded based on their placement in the Round of 8 with the playoffs slated for April 6-7 at the Blizzard Arena Los Angeles studio. The WCS Winter Round of 8 will be broadcast live on the StarCraft Twitch channel with Ravi “feardragon” Pareek, Nathan “Nathanias” Fabrikant, and Geoff “iNcontrol” Robinson on microphone duties. FIFA formalized the full line-up of participating countries who will take part at the first-ever FIFA eNations Cup. Meanwhile, London was tapped as the host city for the event, which serves as one of the major events in the EA Sports FIFA 19 Global Series with 20 national teams from all six confederations (Concacaf, CONMEBOL, CAF, OFC, AFC and UEFA) set to take part. The 20 countries confirmed to participate in the FIFA eNations Cup 2019 are: Argentina, Australia, Brazil, China PR, Denmark, England (host country), Finland, France, Germany, Mexico, Netherlands., New Zealand, Norway, Portugal, Saudi Arabia, South Africa, Spain, Sweden, Russia, and USA. In addition to international glory and a prize pool of $100,000 at stake for the teams, players selected by their member association for the FIFA eNations Cup 2019 will also have the chance to win up to 1,500 EA Sports FIFA 19 Global Series points. Stockholm-based esports company G-Loot, with its Battle Royale brand GLL, is partnering with PUBG Corporation to host a new PUBG Classic event, GLL GRAND SLAM: PUBG Classic. The multi-regional tournament for PLAYERUNKNOWN’S BATTLEGROUNDS will be held in Stockholm from July 19-21. “When we started the GLL brand a little more than one year ago the strategy was clear. We wanted to create the largest tournament in the world with the world’s most played game – PLAYERUNKNOWN’S BATTLEGROUNDS. We are immensely proud to announce GLL GRAND SLAM: PUBG Classic. It will be the largest tournament by us to date and we are very happy to welcome fans worldwide to follow the tournament on site in Stockholm or online,” said Simon Sundén, Vice President and Head of Esports and GLL at G-Loot. Last week, Grand Theft Auto V, a 5-year-old title, was the 3rd most watched game on Twitch. 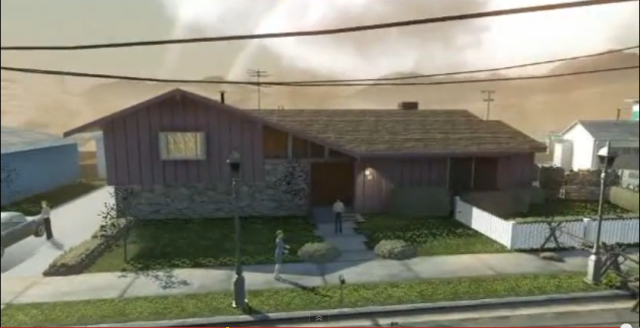 The sudden rise in popularity stems from a game mod called “GTA V RP,” where gamers role play as fictional characters. Top streamers have flocked to this game world creating a sitcom style content around their fictional avatars. Our insights explore viewership and engagement on Twitch. RP could be the new meta of Twitch: Since RP took to the mainstream, GTA V’s weekly hours watched and peak CCV has increased by 76.9%. 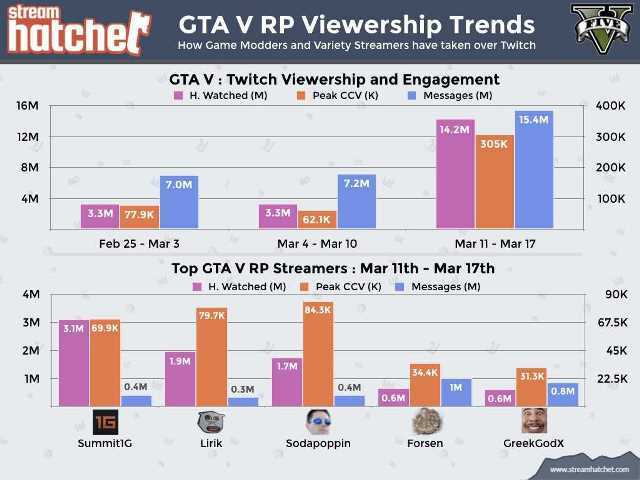 RP engagement is focused on the top streamers: Audiences of GTA V sent 15.4M messages over the past week, roughly 20% of those messages were sent on the top 5 channels. Viewership & engagement: Although Forsen and GreekGodX generated 5.5M less hours watched than the top 3 GTA V streamers, their audiences sent 700K more messages. Hyper X inked a sponsorship deal for Season 7 and 8 of the Esports Championship Series, FACEIT’s CS:GO events. The ECS Season 7 Finals take place at the SSE Arena in London from June 8-9. The deal once again sees Hyper X serve as the official keyboard, mice, mouse pads, DRAM and SSD sponsor for ECS. The partnership will include a special HyperX segment at the end of each game called “XFactor Play of the Game”, where ECS broadcast talent will discuss the best play of the match. Allied Esports picked up Newegg as its newest partner, with the tech-focused e-retailer agreeing to a multiyear marketing agreement designating Newegg as a founding partner and official e-commerce partner of HyperX Esports Arena Las Vegas. Newegg branding will now be displayed prominently throughout HyperX Esports Arena, as well as on the venue’s official website, social channels and live streams. Allied Esports and Newegg will develop and host co-branded events twice each year at the arena. In addition, Newegg will also create interactive retail locations throughout the venue where customers and guests can test out the latest gaming gear. 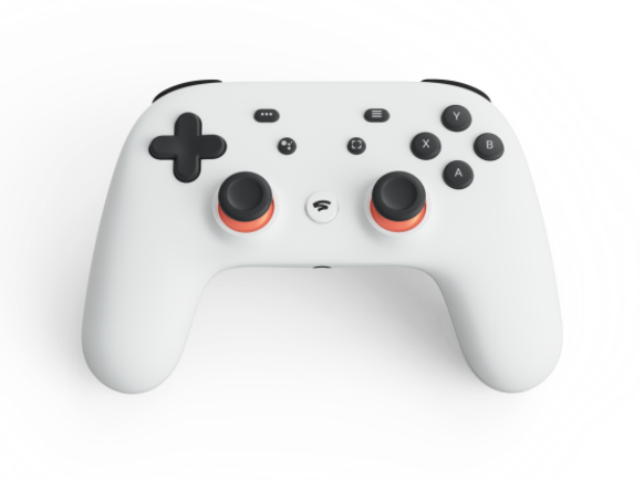 Scuf Gaming announced plans to release new special editions of its SCUF Vantage and SCUF IMPACT to honor OpTic Gaming. As OpTic’s longest running sponsor, Scuf Gaming’s new items mark the seventh OpTic Gaming-inspired collaboration between the organization and Scuf Gaming, its official controller partner. 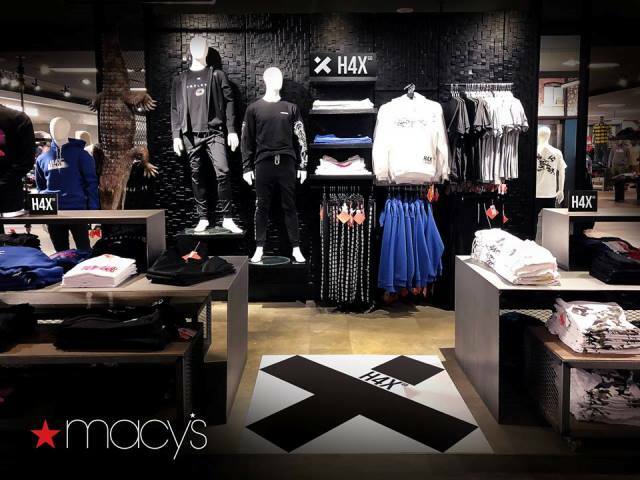 Gaming apparel brand H4X is bringing its clothing to Macy’s stores around the country. The collection will be available to buy at 49 of the brand’s stores and through the department chain’s online site. Items available include t-shirts, jerseys, hoodies, joggers, hats, sleeves, and more. Blizzard opened the doors to funding its esports prize pools with the release of two new World of Warcraft toys, now available in the Blizzard shop and in-game shop. Every purchase of the Transmorpher Beacon or Lion’s Pride and Horde’s Might Fireworks will see 25% of the proceeds be dedicated toward the year’s finals LAN event prize pool for the Arena World Cup and the Mythic Dungeon International with a guaranteed minimum prize pool of $500,000. Activision is bringing Call of Duty to mobile devices, with the game available free to play. 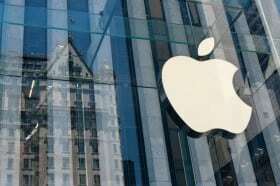 Call of Duty: Mobile will include maps such as Nuketown and Crash as a part of the mobile game. The release date will be announced in the future. Rocket League publisher Psyonix is partnering with Major League Baseball to launch the MLB Fan Pack DLC for the game. With the new pack, players will be able to rep their favorite team with a variety of MLB-themed cosmetic items beginning March 25 on all platforms for $2.99, with options that include player banners, flags, and baseball cap toppers for all 30 teams, a MLB-branded Flag and Player Banner, and a baseball-themed Rocket Boost. During the 60-min. webinar, you’ll learn what to consider when looking for a video download, so you can ensure your solution will: increase engagement, reduce churn, increase revenue, leapfrog your competitors, work within permissions models, offer advertising opportunities, be versatile, and more! ON THIS DAY in 2001: Nintendo releases the Game Boy Advance. Help develop features/backend systems (design, architect, implement, document, test, and support). Collaborate with engineers, product management and design to help shape web based applications, UI, integration and support tasks. Monitor the performance and capacity of Network/Computer systems using a variety of tools. Develop and test software components which are part of the Oracle E-Business Suite and other custom systems. Partnering with franchise, business, and content teams for effective integration into Rocket League Esports. Develops, and leads the creation of storyboards, animation, visual effects and artwork to meet design goals and support the animation style. Create innovative and engaging mechanics through iterative prototyping while maintaining PopCap’s high standard of quality. Partner with senior engineers, architects and product owners to build scalable data pipeline and services. Building highly scalable & distributed systems that handles over billion requests a day. Conceptualize and design finishes and furniture for high-style, luxury residential spaces. For this role, we are looking for someone with strong business/product acumen & technical foundation. Collaborate with other cross-functional teams (Digital Marketing, PR, Media, Promotions, etc) to build larger marketing programs.. Constantly seek ways to improve the accuracy or timeliness of campaign measurements.